Truly a rare find! This classic Bertram Bahia Mar underwent a professional restoration in 2004 that included installation of brand-new Mercruiser engines and outdrives. With a galley, head and sleeping accommodations tucked away in a fully enclosed cabin, she's a comfortable family day boat or weekender for couples. 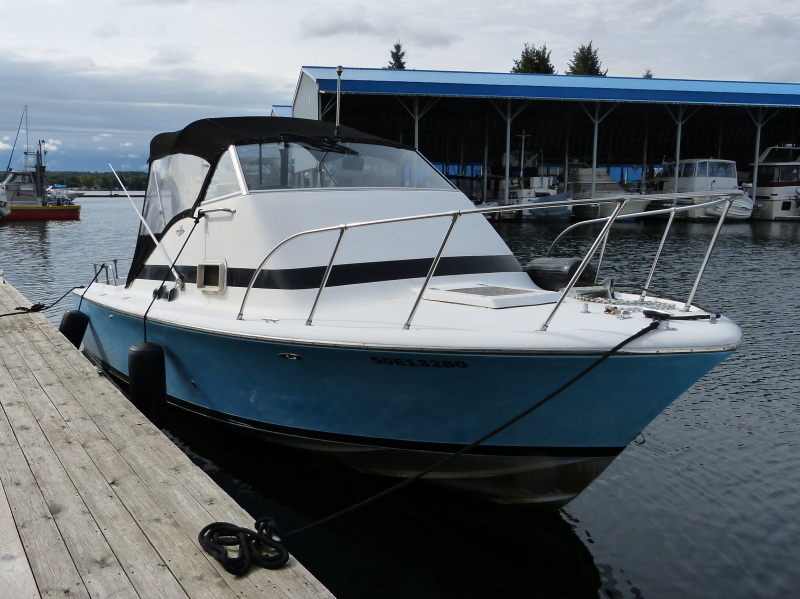 The cockpit is exceptionally large with plenty of room for gear, and the low freeboard means great fishability. Topping it all off, the beamy, deep-V hull is renowned for its phenomenal seakeeping qualities and can handle just about anything you will encounter on the Great Lakes or coastal waterways. A great opportunity to own a high quality Bertram classic at an extremely favourable price point.